How do you live life to the fullest if you have a chronic illness? How do you stay healthy when you are unhealthy? What does it feel like living with multiple sclerosis? While some of us are living an active, exciting, and healthy life, some of us are asking themselves these questions. What are chronic diseases? Chronic diseases are health conditions where the body suffers from an illness which lasted for a long time, especially more than three months. These conditions are progressive and require a healthy lifestyle to prolong life or lessen the distress that comes along with the situation. Multiple sclerosis is a chronic disease where the myelin sheath or the fatty material which covers and protects the brain and spinal cord is damaged. The myelin sheath is responsible for the proper communication of the nerve impulses from the brain to other body parts of the body, so if the myelin sheath is damaged, the messages from the mind cannot be adequately delivered to the designated receiver. It is unclear up to now what the real cause of multiple sclerosis is, although there are still ongoing studies about this medical condition. Multiple sclerosis is believed to be an autoimmune disease, a disease where the immune system attacks our own body, but it is still unclear why the immune system attacks its own. It is believed that multiple sclerosis could be genetic, and if someone from your immediate family was diagnosed with this, you have a higher risk to have this condition as well. The environment is also believed to play a part in developing multiple sclerosis. Since the damage is caused by our immune system attacking our own body, this condition could be linked to vitamin D deficiency. This vitamin aids in the proper function of the immune system thus could cause or trigger improper tasks of the immune system. Experts also believe that bacterial and viral infections could trigger multiple sclerosis. Viral infections cause inflammation and damage to the myelin sheath, for this reason, it is even thought that this could cause multiple sclerosis. There is still no known cure for multiple sclerosis, though there are medications that could help symptoms, slow progression and possible disability. The risk of having a permanent disability in multiple sclerosis is high, but with the advanced technology and therapies, the severity of impairments is decreased. What to do if you are diagnosed with multiple sclerosis? Find a knowledgeable multiple sclerosis doctors. You need the help of a doctor who has extensive experience in dealing with this condition. Your doctor will plan your healthcare, and the coordination and cooperation are vital in dealing with multiple sclerosis. Eat a healthy diet. Be mindful that you are getting all the nutrients that your body needs. Make your body stronger to be able to cope with the symptoms and avoid making unhealthy habits like smoking, drinking, staying up late, eating fatty foods and worrying too much. Stay positive and condition your mind to get better. Having a chronic disease like multiple sclerosis is hard. A person diagnosed with this condition needs all the help and support that he needs, physically, emotionally, mentally and spiritually. The will to get better is vital in dealing with sickness. The body feels every bit of emotion and subconsciously responds to what we think and feel, that’s why it is essential to stay positive and stick to the thought of your wellness. Living with multiple sclerosis is a life nobody would wish for oneself and everybody else, especially our loved ones. If someone you know or even you are diagnosed with multiple sclerosis, make sure that you seek the help of professional and live life with extra caution. Don’t think of it as something to be scared of. 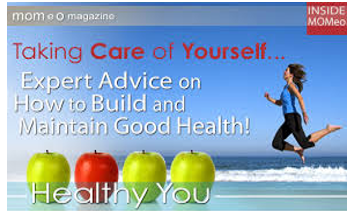 Think of it as a responsibility for you to take good care of your body twice as much.